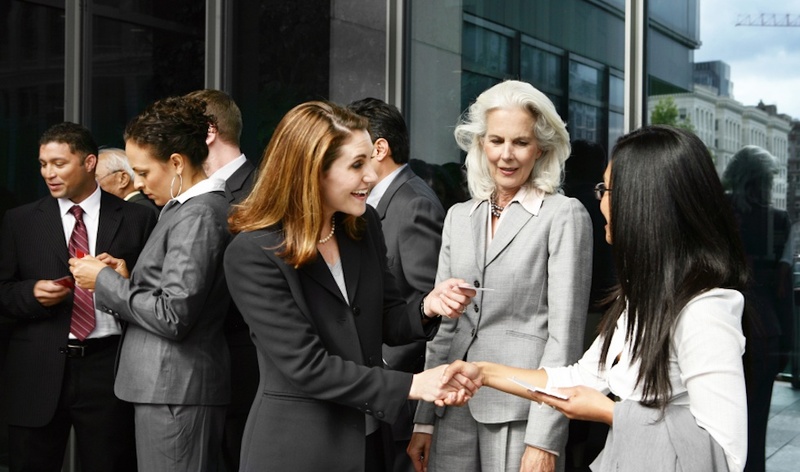 How important is networking for your job search? I knew that networking would be important during my job search, but I didn’t realize exactly how important it would be until I was several months into my job search. Once you start actively expanding your network by attending networking events, you’ll realize that networking is actually a lot of fun! How do you think you’ll find your next job? I’ve learned that I am most likely find a job through my network either directly or indirectly. That’s because personal connections mean everything in a highly competitive job market. Networking is also how you access the hidden job market which are jobs available that are not advertised and you can only learn about through word-of-mouth. How can networking help someone looking for a job? What are some other benefits to networking other than helping you find a job? Get support from total strangers, you will be surprised by how much others want to help you! What types of groups can people become involved in to expand their network? Here are some ideas for the types of local groups that you could join to help expand your professional network. Remember to add any volunteer positions or certifications from professional organizations to your resume! 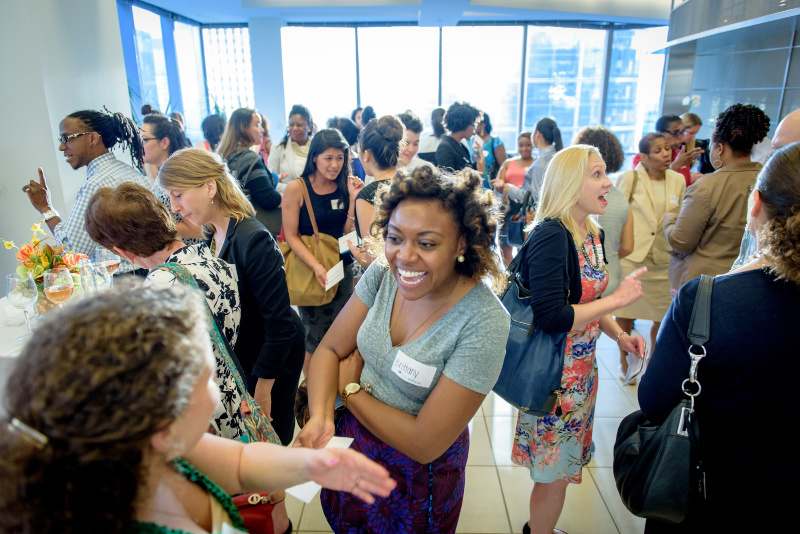 How are you expanding your professional network? It’s been 6 months since I started my job search for a full-time marketing position in Houston or remote. It’s been a wild ride but I’ve learned a lot about myself and about the current job search process! * Nobody wants to interview me, and if they do then they tell me I’m overqualified for the position! This is a huge challenge but what it means to me is that I haven’t found the right position yet. Some company out there needs an analytical marketing professional like me, I just haven’t connected with them yet. * I have the wrong Bachelor’s degree. It doesn’t matter that I’m working on my Master’s of Science in Marketing degree and that it’s on my resume. I have the wrong Bachelor’s degree in Civil Engineering so sometimes I’m automatically kicked out of the system when HR does their screening (especially if they’re using an Applicant Tracking System). * Expanding my network is the most important thing I can do! Thanks to my network I’m learning how to increase the chances of my job search to be successful. Thanks to my network I landed an interview with a major corporation (that I don’t think I would have gotten without their help). Thanks to my network I remain optimistic about my job search and I’m enjoying making new friends. * I’m more valuable than I think I am. I’m learning that my unique skills are more valuable than I thought they were. This is a wonderful boost to my ego and makes me determined not to compromise or budge on my minimum salary requirement. * JobScan can help you beat the Applicant Tracking System. My worst fear is that I submit my resume for a job and a real person never even looks at it! But I’ve learned how to use JobScan to customize every resume with keywords to match the job description. It’s all about finding different ways to describe your experience and skills and finding ways to change your resume slightly. Now that I’m using JobScan to customize each resume, I’m more confident that my resume will make it through the initial screening process and be seen by a real person. I highly recommend using JobScan, it’s worth every penny! What has your job search taught you? 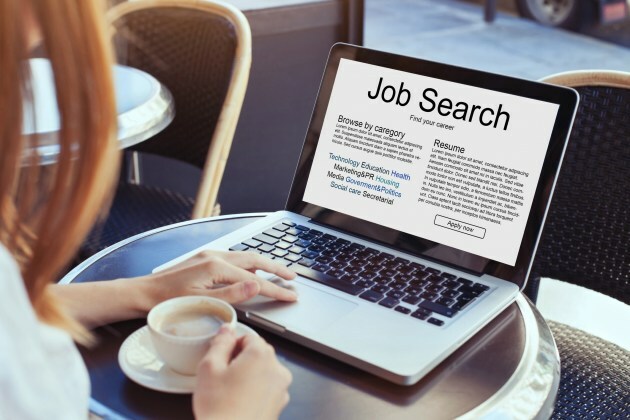 When you’re looking for a job, you’re eager to add anything to your resume that will help you stand out among the crowd as the ideal candidate for a job. One thing that can help you stand out is having certifications. Where should you put these certifications on your resume? You can add them to your Marketing Skills section or if you have several you can create a new section called Certifications or Continuing Education. You also should add your certifications to your LinkedIn profile. Now many certifications you have to pay for, but I’ve found a few certifications for marketing professionals that are absolutely free! Do you know of any other FREE certifications that are useful for marketing professionals? I speak to someone who works for a company on my target list and they tell me they don’t have any marketing positions . . . one day later I see their company advertising a marketing position that I want to apply for and I notice it was posted five days ago?!?! Are these things only happening to me or are they happening during your job search too? So you can see why I’ve been feeling rejected lately. But how do I overcome this feeling and move forward with my job search with a smile on my face and a positive attitude in my mind? 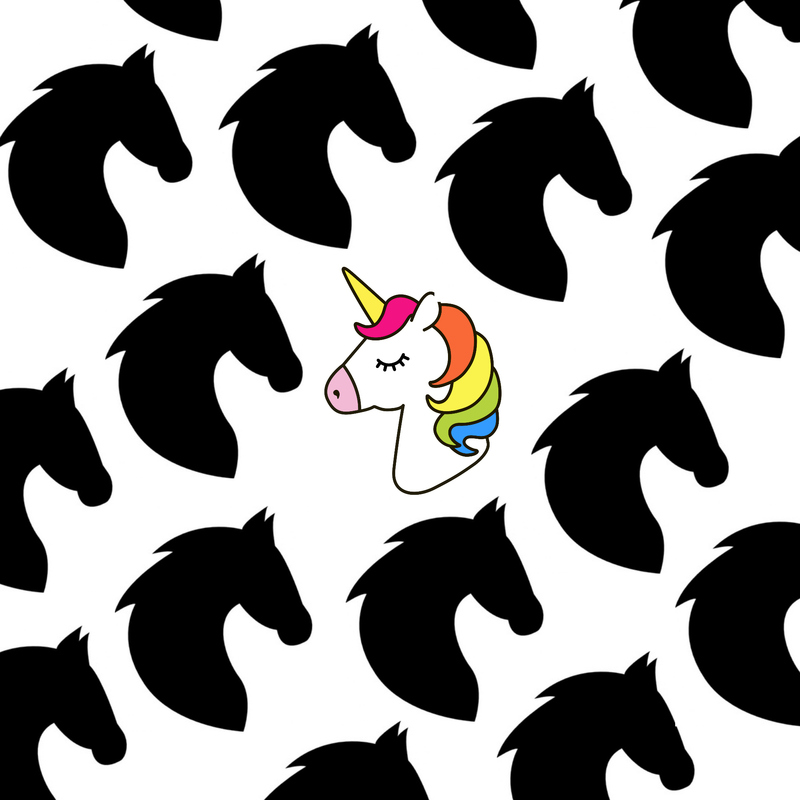 I remind myself that I’m the unicorn that everyone wants to hire but nobody knows exists. Clearly, even some of the people I’ve met in-person still don’t know I’m the unicorn! Why do I feel like a unicorn in a field of horses? I started my career as a civil engineer and practiced for seven years, obtaining the coveted Professional Engineer’s license before taking a break to have two children. When my youngest was one-year old I accidentally became an entrepreneur by starting my own frugal lifestyle blog (Freebies 4 Mom). I fell in love with marketing and was able to support my family even while my husband was unemployed for two years. But the small business owner role was not a long-term career solution for me. I could make money, but I could not obtain good health insurance for my family. And mentally I found that blogging wasn’t challenging enough for me. I wanted to blog as a hobby or side hustle while I had a real job outside of the home. So I got a marketing job managing influencer marketing campaigns. I loved the work, loved the benefits and loved the challenge. In fact I loved my new job so much that I decided I needed to formalize my career change from civil engineering to marketing by getting a Master’s degree in Marketing. I found a university in Texas that was featured as the most affordable Master’s in Science Marketing degree in the United States. I discovered that it was easier to apply and get accepted than I thought it would be and started my first class in June of 2018. At the end of June, my dream job came to an abrupt end when the parent company decided to close our division and I was layed off. Now I was unemployed and would be looking for a job while attending graduate school part-time. Quickly I discovered that this would be the most challenging job search of my entire life. Gone were the days where I could apply for a job advertised in the newspaper located across the country and land the job without knowing anyone who worked there. I was learning that job hunting had turned into a numbers game. You are one of hundreds or thousands of people applying for one open position. You must network to try to find a job through someone you know, and even then the job hunting process is brutal. So I just have to remind myself that I’m a unicorn and that eventually I will be discovered for all of my magnificence and land the perfect job. Time to spill your guts – how do you deal with the feeling of rejection in your job search? Networking is a powerful tool for your job search so you want to hand a Career Networking Business Card to the new people you meet. I had business cards which identified me as a blogger, but this wasn’t the impression I wanted to leave on people during my job search. I wanted my new contacts to see me as a prospective marketing employee rather than just a blogger. Blogging is part of my work experience, but I’m not making it my job description. So I created a new business card to leave exactly the impression I wanted on my new contacts! * My Name ~ the most important thing! * My License ~ since I’m looking for a job where it’s beneficial to have a Professional Engineer’s license I’ve added “P.E.” to the end of my name to help me stand out!